Just in time for the lazy days of summer and baseball season, comes the release of Blockade Billy, the latest novella from Stephen King. In sharp contrast to the mammoth 1,000+ page Under the Dome released last fall, Blockade Billy is a slim volume centered around Major League Baseball circa 1957. An elderly George “Granny” Grantham, former third-base coach of the New Jersey Titans, recounts the fateful season that an unknown Iowa farm league catcher was called up to help his pro team hobbled by injuries. William Blakely is an odd young man, but boy can he play baseball. He quickly becomes a fan favorite, blowing out rookie batting records and guarding home plate with a fierceness that earns him the nickname “Blockade Billy”. As to be expected in a Stephen King story, the plot takes a dark twist as Billy’s oddness turns sinister and players start to get hurt. His short stint with the Titans is effectively erased from the baseball record books, and only “Granny” can reveal the dangerous truth. 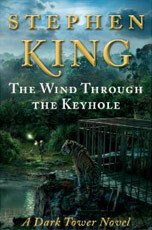 Stephen King’s latest opus hit stores on Tuesday, and rabid fans can finally discover what’s Under the Dome. 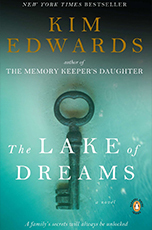 The novel centers on the small town of Chester’s Mill, Maine, as its tranquility is shattered by an all-encompassing invisible dome. When the force field materializes, planes and cars explode on impact, and a few unsuspecting limbs are severed. No one can get in or out, and the cause of the dome is a complete mystery. Could it be little green men? A military experiment gone horribly wrong? An act of God? Hefting in at nearly 1,100 pages, Under the Dome approaches the epic scale of The Stand. And like The Stand, at the core of this story is a battle between the forces of good and evil. This time around the Baddie is town Selectman “Big Jim” Rennie, who sees the imprisoning dome as an opportunity to take control of Chester’s Mill and run the town as his own police state. Fighting against Rennie’s murderous corruption is a small group of townspeople led by Dale Barbara, local fry cook and guilt ridden Iraq War vet. The factions clash in a bloody battle, with heavy casualties on both sides. But do the good guys win? It is a Stephen King novel after all, so a happy ending is never guaranteed. 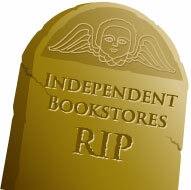 Are Independent Bookstores a Dying Breed? Retail giants Walmart, Amazon and Target have come under fire recently for starting a price war on new hardcover titles, and pricing mom & pop bookstores out of the market. Walmart fired the first shot earlier in the month by offering online customers the chance to pre-order 10 of the holiday season’s hottest new books, including titles from Stephen King, John Grisham and Sarah Palin, for only $10. Amazon and Target then entered the fray and the pre-order price was whittled down to just $8.98. In the aftermath, The American Booksellers Association, which represents independent bookstores, wrote a letter to the Justice Department calling for an investigation of this “predatory pricing”. The ABA’s letter accused the mammoth retailers of selling the books at a loss in order to “win control of the market for hardcover best sellers.” Target, Amazon and Walmart are able to offset these losses, but independent booksellers operate on much slimmer profit margins and do not have this luxury. These price wars could not have come at a worse time for small bookstores, since the weakened economy and the rise in e-book popularity have steadily eaten away at their profits. Stephen King fans can’t wait to see what’s Under the Dome. Over the past couple weeks, the cover artwork for his new book Under the Dome has been revealed in stages at: stephenkingunderthedome.com. The final reveal will be on Monday, October 5. 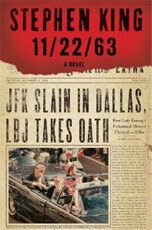 King conceived the idea for the cover, and Scribner art director Rex Bonomelli worked with artists in the U.S. and abroad to realize the vision. 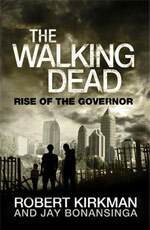 The artists used a combination of illustrations, 3D renderings and photographs to bring the cover to life.